The bill for expert witnesses for the defense of current and former Michigan Department of Environmental Quality employees in the Flint water crisis cases now exceeds $108,000. In 2014, the city of Flint, Michigan attempted to reduce costs by getting its water from the Flint River instead of from Detroit. 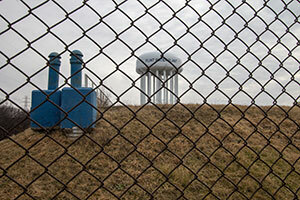 Soon after the switch, residents began to complain about the water’s smell and taste. Tests by the Environmental Protection Agency and Virginia Tech showed that the water contained dangerous levels of lead, which can have detrimental effects on the heart, kidneys, and nerves. Exposure to lead in children can impair cognition and cause behavioral disorders, hearing problems, and delayed puberty. Numerous lawsuits were filed against Michigan, the City of Flint, and the state and city officials who were responsible for switching the source of Flint’s drinking water and for monitoring the water quality. Criminal cases were brought against some of the Michigan Department of Environmental Quality employees who are alleged to be responsible, including Liane Shekter-Smith, former director of the Office of Drinking Water and Municipal Assistance; Stephen Busch, a district supervisor; Michael Prysby, a district engineer; and Patrick Cook, a community drinking water specialist. Records obtained from the DEQ show that the state has been billed $58,713 by Ramboll Environ, $46,996 by Northeast Water Solutions, and $3,019 by Berkeley Research Group for expert witnesses to defend the DEQ employees. Additionally, the state has been billed $87,000 for experts retained by two top executives for the Michigan Department of Health and Human Services who have been charged in connection with the water crisis.